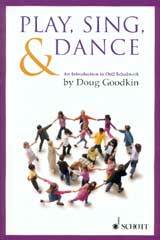 Features 48 arrangements and activities for preschool and elementary, usable by both music and language arts teachers. 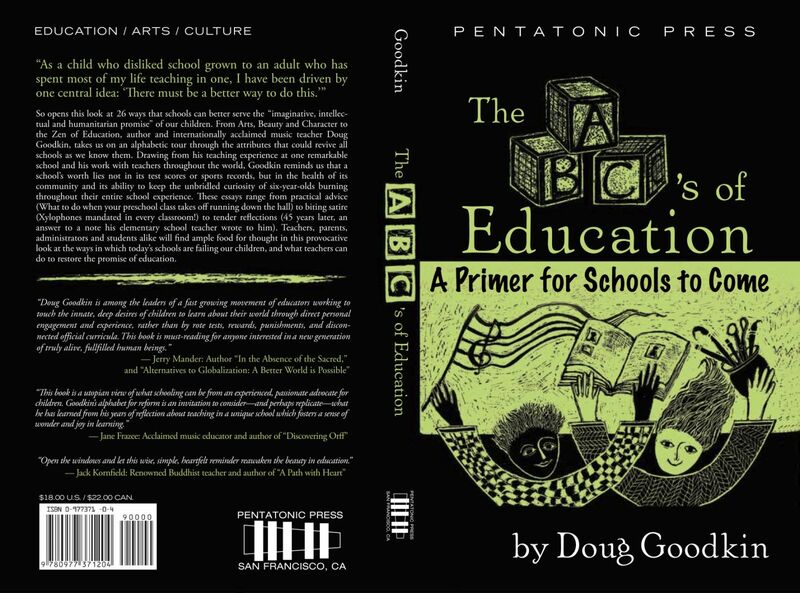 The ABCs of EducationA provocative look at the ways in which today's schools are failing our children, and what teachers can do to restore the promise of education"Doug Goodkin is among the leaders of a fast growing movement of educators working to touch the innate, deep desires of children to learn about their world through direct personal engagement and experience..."
Now's The Time: Jazz for All Ages - Companion CD set for the book. 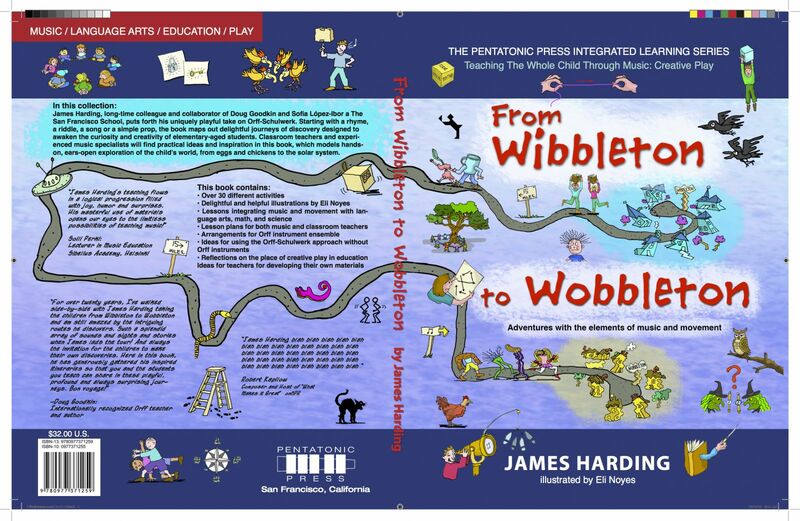 Two CDs, 42 pieces of all arrangements in the book plus bonus tracks, performed by The San Francisco School Orff Ensembles. 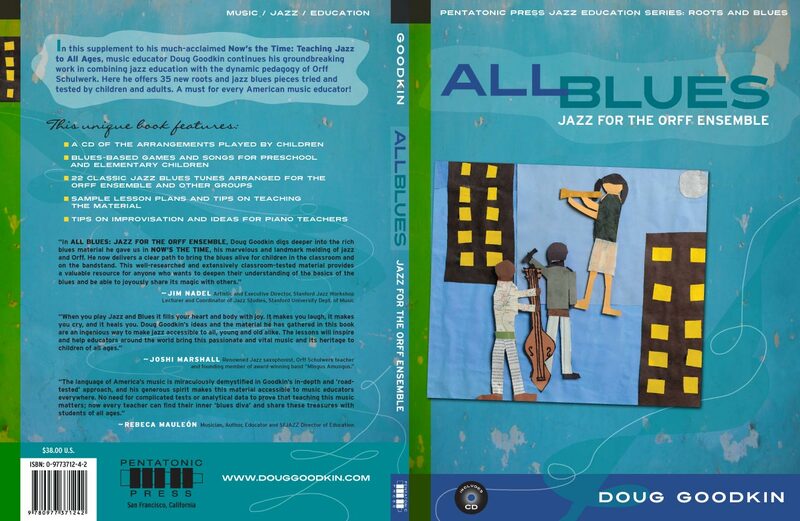 See samples or order this book and CD. • To further the development of Orff Schulwerk through quality materials, ideas and processes grown from work with children of all ages. • To attend to the roots of quality music education while exploring new territory. 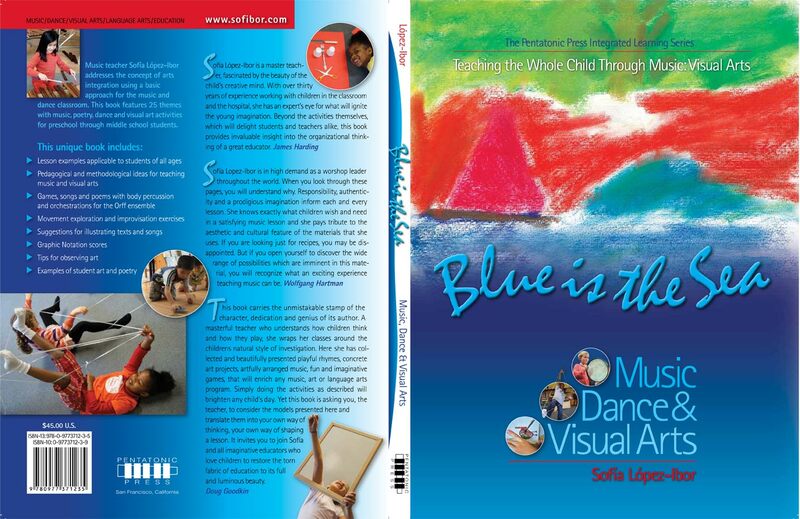 • To provide a model of music and dance at the center of school curriculums, revealing their inherent connection with all subjects and their ability to cultivate community. 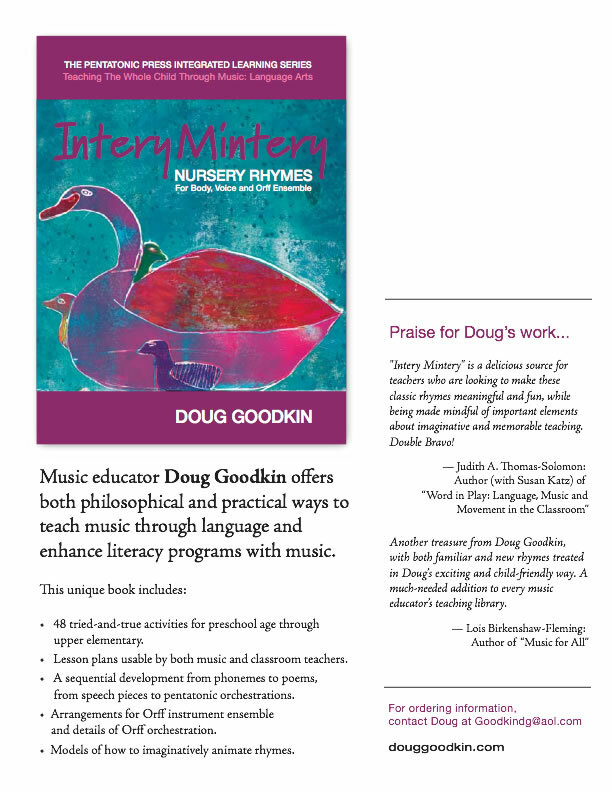 • To use music as a vehicle to reveal and cultivate each child’s remarkable potential as an artist, citizen and compassionate human being. • To offer full artistic control over the presentation of published material. 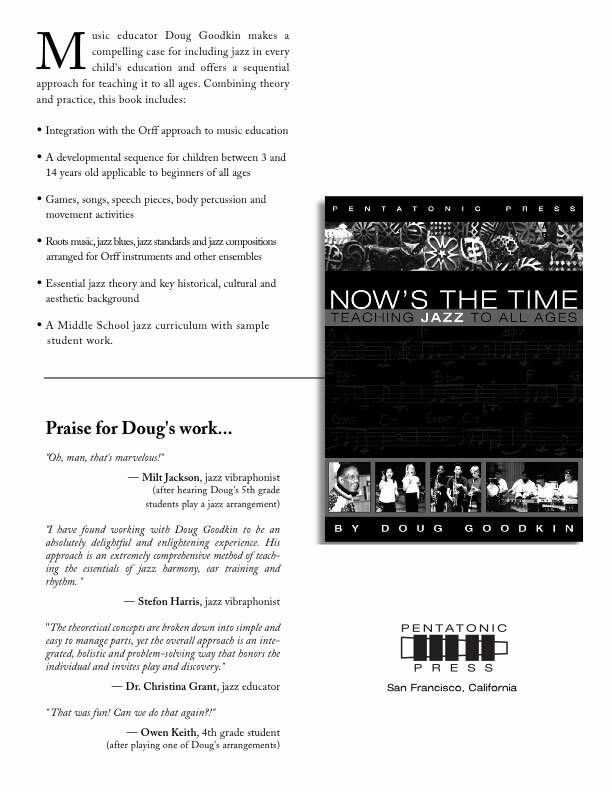 Pentatonic Press’s growing catalogue includes six published books and two CD’s. Upcoming projects include such diverse subjects as guidelines for effective teaching, , Ghanaian xylophone music, Ghanaian children’s games, Balinese music for children, jazz piano for all, pentatonic, modal and harmonic music from the world repertoire for children of all ages, a collection of songs for all occasions and more.